Personal financial planning is a key factor to ensure sufficient monetary resources have been budgeted and saved over time. In this comprehensive article, we will discuss all aspects of financial planning: what exactly it encompasses, who can benefit, what the risks of not planning are, how to write a financial plan, what financial planning tools are available and how to pick the right financial advisor/wealth manager. Long-term financial and strategic planning: Determining what major decisions are necessary to realistically reach objectives over multi-year periods. Tax planning: Organising transactions and legal structures so as to minimise their tax bill. Financing and Investment planning: Choosing among various investment and borrowing options considering expected returns and rates. Financial risk management: Deciding what levels of risk are acceptable, how to minimise them, and what to do if the worst happens. Yearly budgeting: Planning for revenues and expenses over periods of up to a year, to gain a clear view of any short-term adjustments that need to be made. Financial performance review: Analysing how they have performed over a certain period, as compared to plan, whether that is satisfactory, and whether any adjustments have to be made. Financial planning for individuals is very similar. Although it is usually much simpler, the main activities and basic principles are the same. We’ll go over each one. What are the main financial planning services for individuals? This is the first, and one of the most overlooked activities in personal financial planning. Many people jump straight to trying to make a specific decision – which stock will generate a higher return? – without having a clear overall strategy. And, as with companies, lacking a clear strategy before getting to work can easily lead to wasted time, effort and money. A comprehensive diagnosis of your personal situation, regarding issues such as: age, current net worth, current and prospective dependents (children but also ageing parents, for example), career situation, current and prospective income and associated risks, current debt and expense levels – rent/mortgage, household expenses, holiday and entertainment expenses etc. Also, it is important to understand your current situation regarding tax. Where are you tax resident? How much do you pay on your income from work and from investments? How are your savings currently invested? What sort of returns and fees do you achieve, and how does this compare to benchmarks? What is your risk tolerance for investments? An idea of your financial objectives. What mid-term financial expenses do you foresee? Do you have a home or are you looking to buy one? Do you have children to put through college? Or maybe you would like to start your own business? And what, ideally, would you want for the long-term? Would you like to retire at 55, or keep going to 70? In Thailand, London or sailing around the world? Do you want to leave an inheritance to your children or do you go by the ‘live rich, die broke’ philosophy? 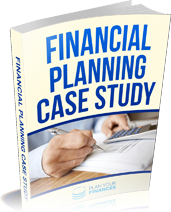 Tips on financial planning: Download our Financial Planning Case Study. Realistically reconciling your current situation with your desired outcomes, and determining what adjustments or actions have to be taken in order to achieve them. Writing this down in a quantitative personal financial and retirement plan, with targets against which you can measure and monitor your progress. This is essentially a spreadsheet mapping out your income from work, earnings from investments, taxes, expenses, savings and investments, year by year, from now all the way into retirement, with a generous life expectancy. This process can take anywhere from a few days to a few weeks of work. If you are personally comfortable with spreadsheets, financial planning, forecasting, investments and insurance and taxes, you can conceivably do this yourself. Alternatively, you can hire a financial advisor to guide you through it and do the heavy lifting. Even if you are quite savvy about your personal finances, having an advisor can be helpful. They can provide an experienced, independent and objective view; reality checks against over-optimistic assumptions; expertise on complicated issues such as taxes; and reminders about points that are sometimes overlooked. Financial advisors usually either charge a few thousand pounds for this planning, or provide it free of charge as part of a broader engagement in which they will advise you on investments, insurance or real estate, in which case they will earn fees from these other services. The expense can easily pay for itself in terms of opportunities for improving investment performance or reducing taxes. Even if there are no immediate changes, when you consider the importance of your personal finances, the expense is likely to be worthwhile: just as you would probably want the advice of a doctor when undergoing medical treatment, or a lawyer when writing a major contract, it’s a good idea to have a specialist help you make sure you are on-track to meet your financial objectives. As financial specialists, we see some patterns recur across clients who go through the financial planning process. These involve facing a few hard truths. Most people start saving for retirement late and don’t save as much as they should, often because they save what is left over after their spending, rather than the other way around. Do you know how much you should save each month in order to ensure comfortable retirement? How much do you really save each month? As a result, most people cannot afford to retire as early as they would like, or at the standard of living that they would like. Some have unrealistic expectations about how long they will be able to work at their current intense levels. Have you thought about when you would like to retire? What standard of living you’d be able to have in retirement? What if you cannot work as long as you’d like because your health unfortunately deteriorates earlier than you expect? Or because you have to care for a loved one? In spite of this, most people ‘waste’ money by keeping their money in low-yielding investments. Sometimes this is due to insecurity regarding investments, sometimes it is due to very conservative choices, which, although absolutely legitimate, have very real consequences in terms of lower returns. Sometimes it is a result of procrastination – knowing that you really should invest the money sitting in that savings account, but you’ll do that later. Sometimes it is the result of not knowing what levels of returns and fees are attractive, average or substandard in the current market. Is your portfolio optimally invested for your situation? How do your returns compare to benchmarks? What level of risk are you taking on? Financial planning often leads to the conclusion that both habits and expectations have to be adjusted. A typical conclusion might be that one has to retire a little later than expected, and at a slightly lower standard, and that some luxuries like holidays have to be moderated a little in order to allow for more saving, but that with a better investment and tax strategy, it is possible to get back on track to a comfortable retirement without too much pain. Tax planning used to be something for the rich. But over the past decades, with globalisation and financial de-regulation, the array of possible investments has widened substantially. And as the tax-man has tried to keep up with that, tax rules have also become ever more complicated. This has happened worldwide, but maybe most notably in the USA, UK, Australia & France. The complicated system of taxes, allowances, exemptions, credits and incentives now affects even those of us who just want to work, own a home, have some investments, raise a family and retire comfortably. Furthermore, decades ago, high interest rates meant that one could possibly overlook tax issues without too much harm. But nowadays, interest rates are at all-time lows (many countries even have negative benchmark rates), meaning that extra hit from taxes can be the difference between meeting your financial objectives and coming up short. The objective with tax-planning is relatively simple: minimise your overall tax bill while staying within the law. But there is a range of different taxes and tax-minimising mechanisms that have to be considered, such as: Where you are resident and domiciled for tax purposes; What tax-incentivised investment options you have available, and in what situations that tax-incentive applies. Pensions are the most notable of these. Up to your lifetime allowance you can build up pension assets tax-free. 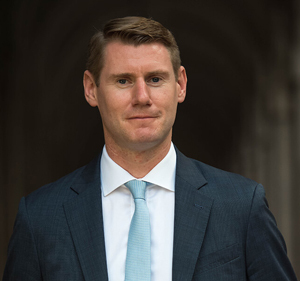 But as you approach retirement, if you are eligible, it might be advantageous to move them to a QROPS – a qualifying recognised overseas pension scheme – for instance. Property ownership also usually involves tax incentives (whether to encourage or discourage ownership), such as capital-gains-tax (CGT) exemptions on your own home and mortgage-interest income-tax deductibility, or higher rates of stamp-duty on buy-to-let properties. What options you have to minimise inheritance tax (IHT). Different kinds of assets have different kinds of treatment. So you can pass on a business tax-free, but would have to pay tax on real estate, for instance. It is important to realise that tax planning is most effective when it is based on clear long-term financial planning – they are not separate. Some tax options are better than others regardless of what your overall plans are. But for others, it is important to know what you are planning for. For example, moving all your pensions into a QROPS could be ideal if you are planning to retire abroad, but less efficient if you are looking to move back to the UK in a few years. Also, tax has to be considered together with investment issues. An investment might be attractive because of excellent returns even if the taxes are high, for example. As in retirement planning, a specialised advisor can be helpful in tax planning, for a number of reasons. First, because tax rules change from year to year and can be confusing and counterintuitive. Second, because mistakes can be expensive – you don’t want unpleasant surprises from HMRC down the road. Third, because, as mentioned above, tax-planning is not stand-alone. It should be integrated to your overall financial planning. Once you have a view of your objectives and the overall amount you must save and invest, as well as your overall tax structure, you need to decide what to invest in. Choice of the appropriate asset class mix. This is a function of your financial situation, your stage in life, and your appetite for risk. For example, if your net worth is already close to what you need to meet your objectives, you are close to retirement and you have a conservative disposition, it makes sense to allocate your investments to mostly lower-risk, lower-return options such as government bonds, high-grade corporate bonds and real estate. Conversely, if you are far from your objectives, are young and would like to ‘put your money to work for you’ as much as possible, it would be better to allocate more of your portfolio to higher-risk, higher-return options such as equities and higher-yield bonds and specific real-estate and business opportunities. Choice of the funds and managers of those assets. Factors to consider are overall trustworthiness, investment performance and fees. Many people rely on the default options offered by their banks, for example. But because your bank probably can obtain funds very easily from its customers, it may not be driven to offer the best fees or invest in building the best investment management teams. Choice of the individual investments. An alternative for all or part of your liquid portfolio is to pick specific investments to invest in, rather than choosing fund managers who in turn choose investments. This is most appropriate for sophisticated investors who have a good understanding of the risks and returns involved in each of the options, or those with savings that are sufficiently large to justify having someone manage their funds in a custom manner. In some specific cases, it is advantageous, from a tax or fee perspective, to own your investments directly, through a brokerage account, rather than through a fund, and that can be appropriate for lower risk investments that are likely to be held to maturity rather than require frequent attention. If you personally enjoy trading, it is also possible to have most of your investments in funds and set aside a portion that you will manage yourself. When it comes to property, of course, people usually invest directly, so analysing individual opportunities is essential. Choosing financing. The most common financing of investments individuals engage in is taking out a mortgage to buy property. People also take out loans to invest in a business. 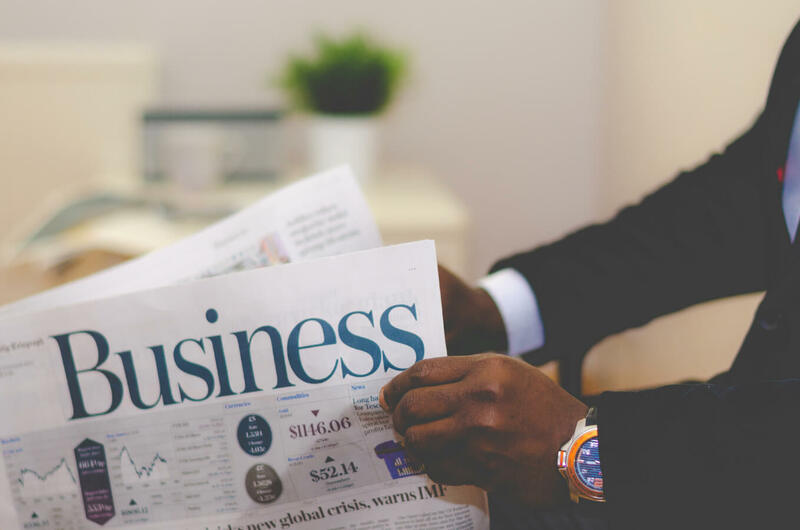 As with corporate financial planning, it is important first to ensure that the return you are likely to make on your investments exceeds the rate at which you are borrowing. It is also necessary to understand the risks and plan for less favourable scenarios (“If I take out this mortgage but the market cools off, will I be able to stay above water?”). Only then should you ask the question of “Who offers the best rates?”. All of these points have to ‘tie-in’ with your overall long-term and simple financial plan as well as your tax plan. You cannot plan for a relatively high return on investments in your retirement plan while investing in a low-yield portfolio. Once again, an independent financial advisor can be helpful on a number of fronts. First is helping ensure the proper integration of your investment plan with your retirement plan. Second is knowing about a broader range of investment and financing alternatives than you are likely to, and knowing what levels of fees and returns are attractive in the current market. Third is providing an independent opinion, a reassuring source of information and support, and nudging you in the right direction. For example, you might be a big fan of shares and be tempted to put a large part of your savings in a specific company. An advisor could help you put together an aggressive, high-return, portfolio while at the same time avoiding undue risk. On the other hand, you might want to keep most of your funds in a low-yield savings account because you are afraid of losses. Your advisor could bring you appropriately conservative investments with higher yields and reassuringly explain why their value fell slightly on a certain occasion. Holding a cash balance. While you should certainly seek out the best returns for your investments, it is essential to maintain a reserve for emergencies, accidents, unexpected trips and expenses, unemployment and so on. Advisors usually recommend holding 3 months of expenses in low-risk, liquid investments. Diversification of investments. This is the proverbial ‘don’t put all your eggs in one basket’. While funds usually diversify adequately on behalf of their customers, people sometimes put too much of their savings into a single piece of property, business venture, or investment fund – a stock fund may be diversified but still perform very poorly in a market-wide downturn, for example. Insurance. While many people are aware they should be insured, they simply hire the default plans that are offered. Rather, the amount of insurance you buy should be a function of your personal and simple financial plan. For instance, if you have dependents who would face difficulties if you were to pass away or become disabled, you should not just buy ‘some’ life or disability insurance, but determine what their financial needs would be in that situation, and buy accordingly. Active monitoring of risks. While the above points are all carried out when you are planning and investing – before risks become apparent – certain situations might warrant action as they occur. Examples: if you have an account with a bank that starts facing financial difficulties, if you own property in a country where the political mood turns against foreigners, if your health worsens. Financial advisors usually carry out the first three by default during their investment planning, and actively watch out for major political and economic risks. For individuals, this will be a result of your long-term financial plan: rather than saving what is left over at the end of the year, you will be able to know, from the start, how much you should be saving and spending. You can then review your finances yearly and analyse whether you met that budget, and how your financial investments did vs. the plan. You can then adjust the plan for the next period. For example, if you did not manage to save as much as you wanted to, you can understand why that is; if your investments did less well than imagined, you can decide to either give them some more time or make up for the poor year by saving extra; if you received a raise, you can decide how much more you will spend vs. save. This is simple enough that you can do it yourself. But financial advisors often offer it as complimentary service when managing your investments, and, in doing so, play an important role by offering an independent opinion. In summary, financial planning services for individuals are analogous to the financial planning carried out by companies! It involves each of the same steps: planning for long term objectives and retirement, taxes, investments and financing, risks and monitoring yearly performance. Everybody can benefit, whether wealthy or destitute, young or elderly. For the well-off, financial planning ensures that their investment returns are optimal and, with a big pool of assets, can easily pay for itself. Those with insufficient savings, on the other hand, also benefit because planning allows them to understand their situation and work towards improving it rather than just hope for the best. So a small pool of savings or relatively low income is no excuse for avoiding planning. A famous business saying is that ‘What gets measured, gets managed’. It certainly applies to personal finances. By planning, you will be more mindful of your objectives and of what it takes to get there, and thus be more likely to reach them. Conversely, by not planning, you are much more likely to miss important problems, miss out on opportunities and procrastinate on actions that are urgent. It is, unfortunately, surprisingly common to see professionals who, in spite of an above-average income, are faced with postponing retirement and having to dramatically cut back their standard of living simply because a lack of financial planning led them to make poor choices. Conversely, there are many people who, with adjustments, managed to get back on-track to a comfortable retirement in spite of initially low savings and income. We outlined above how a financial advisor can assist in each of the steps of financial planning. In summary, a good financial advisor: Has expertise to put together a plan that properly integrates long-term objectives, taxes, investment decisions and risk management and covers all necessary details. Has deep knowledge of the wide array of tax structures, legal and regulatory issues, investment and insurance options, and market rates and fees, allowing for better-informed choices. Provides an experienced, pragmatic and independent view, that can put wishful thinking in check but also reassure you when necessary. Actively watches out for major political, economic and tax changes that warrant action. Because of the size of the decisions at hand (which ultimately add up to your entire income and net worth), even what seem to be minor adjustments can have a very large financial impact. So it is worthwhile having a specialist to ensure that you make the very best decisions. How to find a certified financial planner near you? Certification. Certain jurisdictions regulate financial advisory, require advisors to be certified and monitor the compliance of advisors with rules. Trustworthiness. A financial advisor will make recommendations that affect your entire net worth, and may even have access to your funds. It is essential that they are trusted. Check the advisor’s background and firm, talk to other clients if possible, Google them, etc. Also understand how they are being paid. Are you paying them directly, or will they receive commissions from insurance, investments or real-estate that you buy through them? Either can be acceptable, but it is important to know the interests at stake. Common sense. Good financial advice goes hand-in-hand with common sense. Avoid advisors that insist on unusual investments or legal structures without good reasons. Expertise, qualifications, and experience. Most advisors, whether good or mediocre, will be able to sound knowledgeable about finances and investments to the average person simply because that’s their profession. So look to an advisor’s qualifications and experience, and whether they are able to explain their points clearly, to judge their expertise. We have discussed the various services involved in financial planning, who it is for, why it is beneficial and why working with a financial advisor is the best way to plan your finances. Although it can sound boring, financial planning is a key factor in ensuring comfortable retirement. If you need more insights on financial planning, download our financial planning case study guide.